New Guardrail Photo Radar Gun? 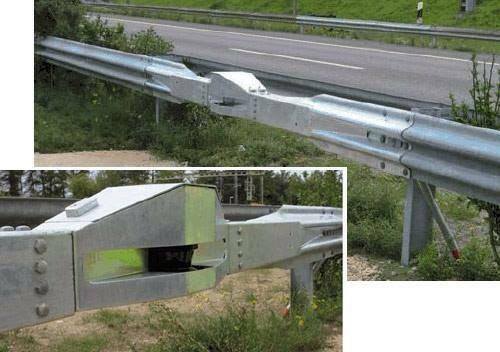 Home > New Guardrail Photo Radar Gun? Is this some kind of new police photo radar gun? I’ve received a ton of inquires about this photo after it went viral on a number of speed counter measurement forums and Facebook. Well after doing some research on Google my findings indicate that this photo is from a PowerPoint presentation from Police Department in Switzerland and it is NOT a photo radar device. What it is a device that does measure traffic patterns on highways. If anyone else can help clarify this please use the comment area below. God bless you Roy. I just got a blinder hp 905 quad sensor for my jag xjl supersort, and have ordered a passport max (my old sr7escort falses laser too much)…should I still use the Veil I have left? My name is Stephen, I’m Roy’s site admin. I try to answer posts when I can as Roy is always on the move hunting new products & tips for his family of community members like yourself. First allow me too sincerely thank you for taking the time to post a great question. You can’t go wrong using the Veil you have, but it is redundant when in use with a Blinder. If you have another vehicle you can use the Veil on, I would recommend that. If not I would seal up the remaining Veil container in something like a gallon zip lock bag, being sure to squeeze as much air out as possible. That will help keep the Veil fresh. Then I would just keep it on hand, for in the off chance you would have to have your Blinder serviced or you have to use a rental car or something of the sort. Veil is a great product, that’s why you don’t want to waste it, by using it in conjunction with a Blinder. I hope that answers your question, but if not and/or you have any other questions, concerns or comments, please feel free to post. All post are very important to Roy as he views every post as equally important & he loves hearing from his family of community members. Take care & please have a safe & happy holidays!! !